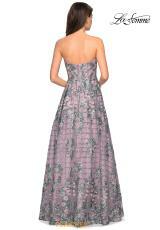 Boho chic strap less dress 27683 by Gigi is a fabulous choice for your prom. This mesmerizing ensemble showcases a strap less neckline and an a line silhouette. 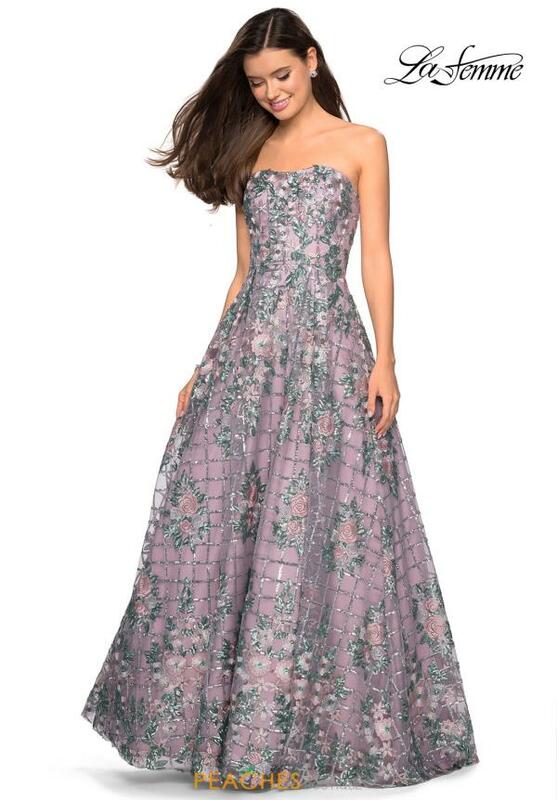 Stunning floral appliques adorn the entire gown for the perfect amount of detail. The back of this gown features a high zipper closure. For more styles visit Peaches Boutique in Chicago.